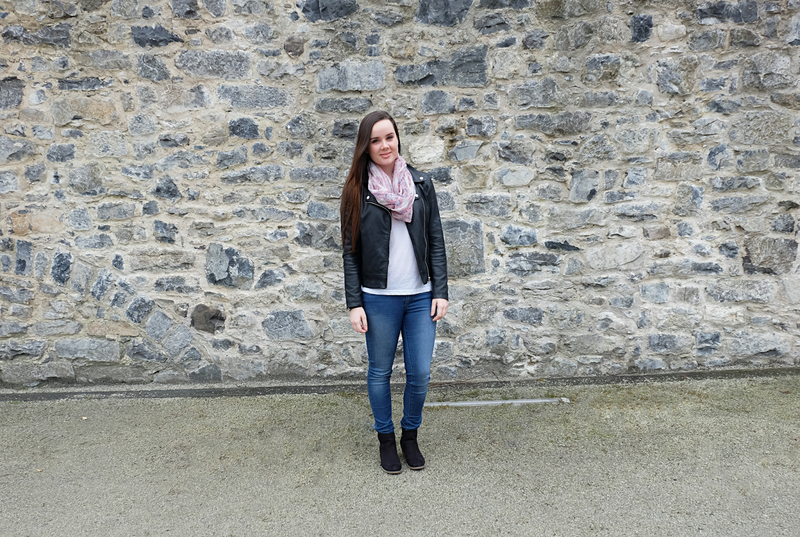 Today I am starting a new section on Penneys To Prada called WIWT (What I Wore Today). These posts will be outfits I wear and want to share with you all, I love seeing these posts on other blogs so I thought I'd give them a try! 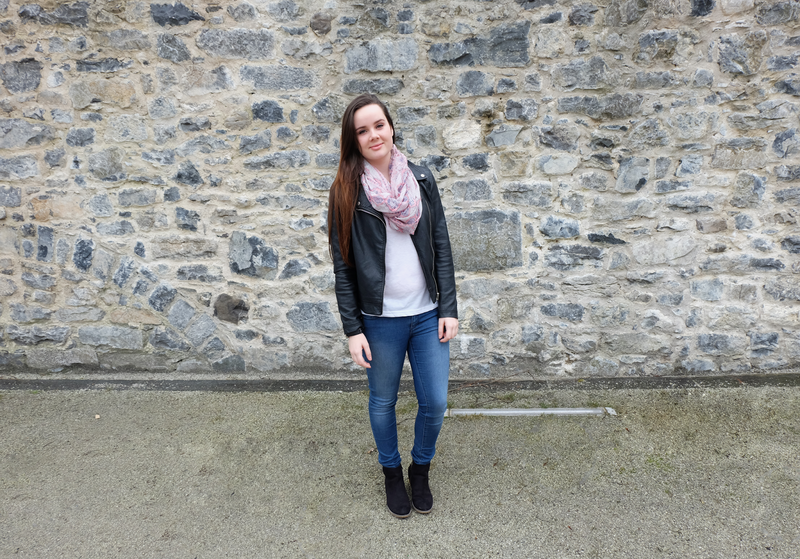 I wore this outfit on Saturday going shopping, it's pretty casual and very comfy, a must for a day of shopping! A big thanks to my lovely boyfriend for taking these photos for me! My jacket is is from H&M from a few years ago and I get so much wear out of it. Even though it's obviously not real leather, it's still very warm, perfect for the cold Irish weather at the moment! I bought this baseball style t-shirt the other day in Penneys. I love this style of top and for just €4 I couldn't possibly leave it behind! 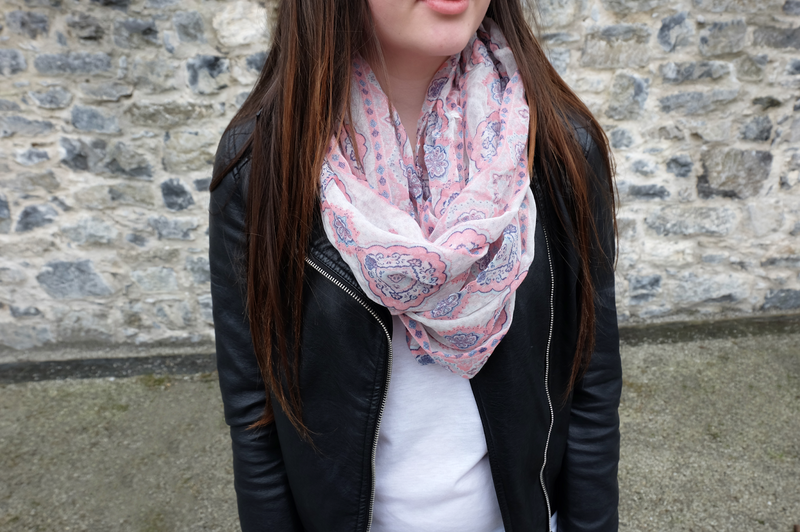 I bought my scarf on the same day as the top, I love these summer scarfs and the print on this is so pretty! 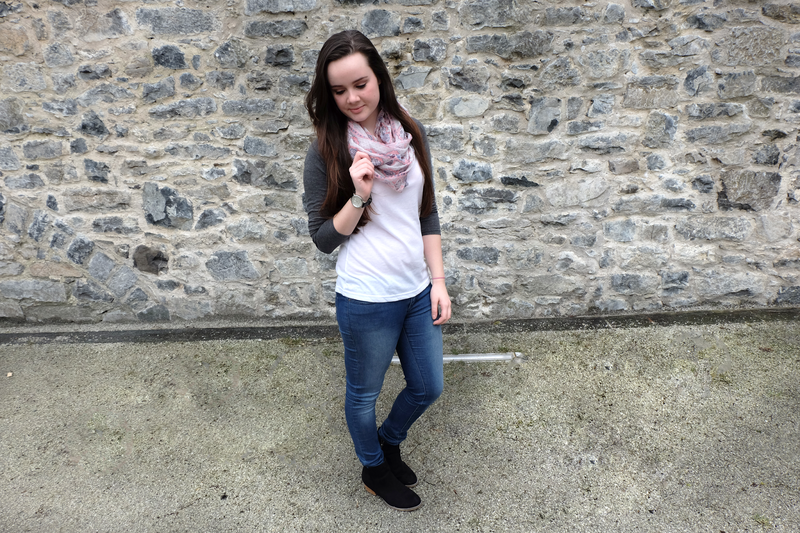 My jeans are also from Penneys and if you want to know more about them you can read my 'Denim Revival' post! My boots are from Next and were €48, you can find a similar pair here. 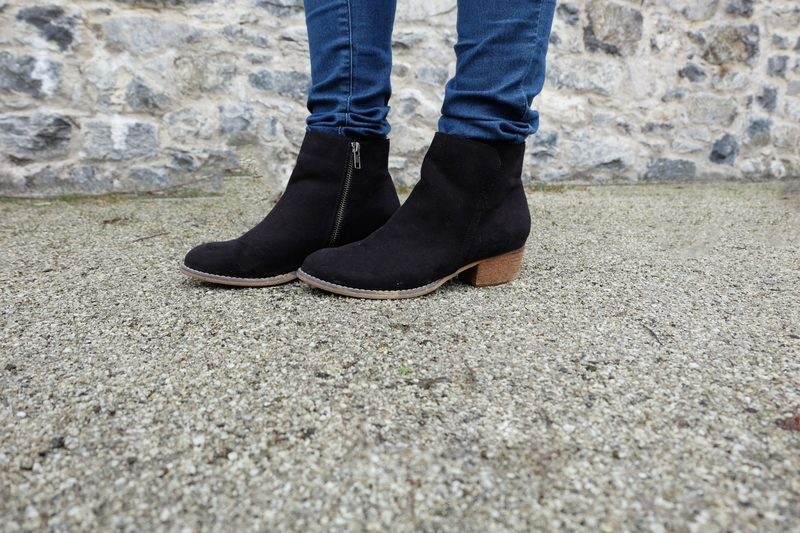 I love these boots as they're comfy but also look great with pretty much anything, I wear these with jeans and dresses! So that was my first WIWT post, let me know in the comments if you like these types of posts! Thanks so much for reading!